I am often asked “How does your knit camouflage clothing compare to Bob Fratzke’s knit Winona Camo System© of the 1980’s?”This was a hard question to answer before because I had never seen a Winona jacket or sweater in person. 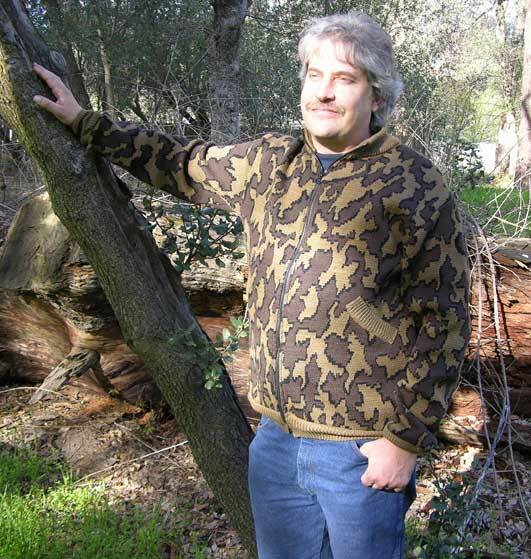 In Feb, 2010, a bow hunter, Grainger, from Northern California, brought me his 1980’s Knit Winona Jacket, which was now worn out, to see if I could apply my Camo design to the Winona jacket body style, with a few personal alterations to meet his hunting and personal needs. 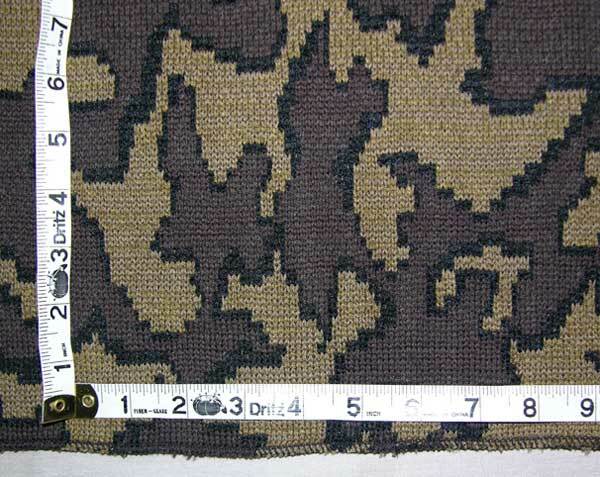 This knitting challenge has also given me the opportunity to finally answer the question in this article “How does your camouflage knit clothing compare to Bob Fratzke’s Winona Camo System©?”. Thank you, Grainger, for this knitting challenge and sharing your Winona experience with me. 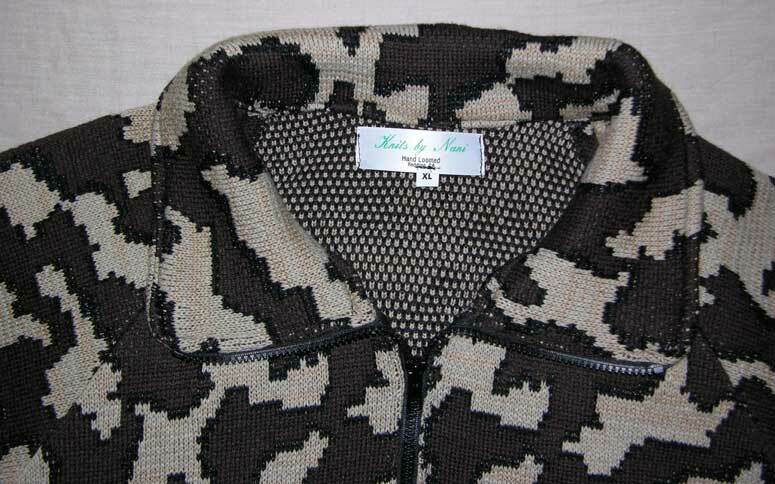 March 2011 Update: We are honored and pleased to announce that The Knit Tree is licensed to Use the famous Winona Camo© Patterns and to reconstruct the Winona Camouflage clothing and accessories. 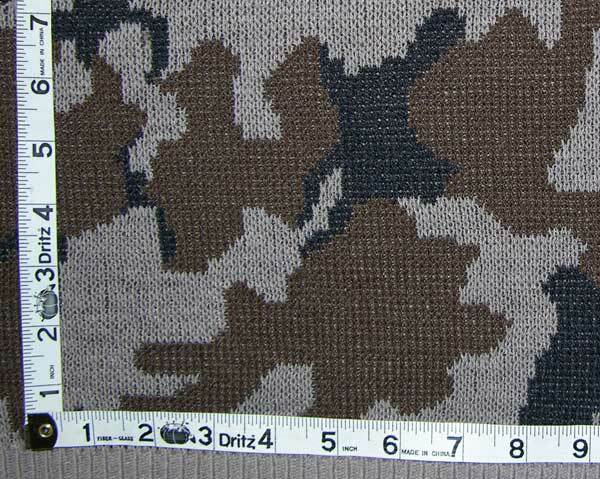 We retired the camouflage pattern in the photos below of The Knit Tree Camo and substituting it with the Winona Camo Classic©, Winona Camo Elite©, Winona Camo Snow© and Winona Camo Blaze©, all originated by Bob Fratzke. 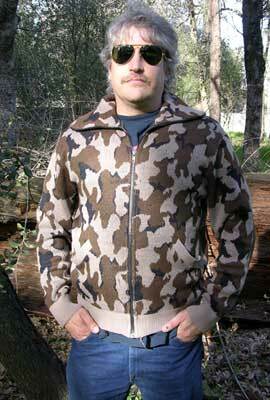 Go to The Knit Tree's Online Catalog to purchase any of the Winona Camo hunting garments. 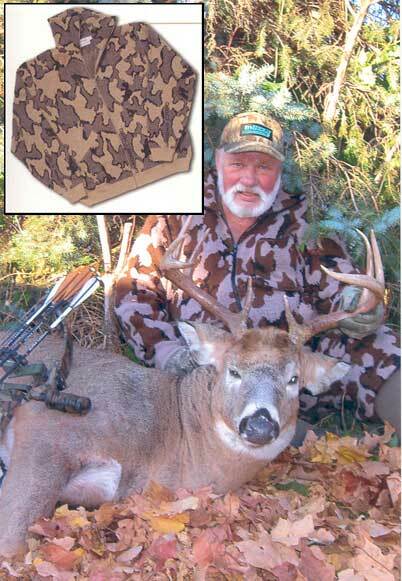 The photo to the left was taken in Mn in 2008 of Bob Fratzke wearing the Winona Camo© Elite Cardi Jacket. He designed the jacket in the late 1970's and the Classic/Elite Camo Graphic in the 1990's. 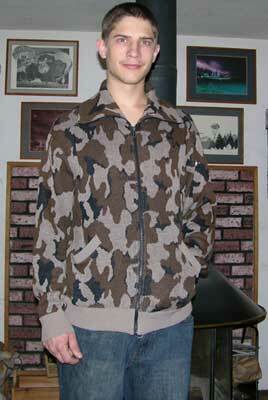 Originally the jacket used the Winona Camo Brown© graphic which is featured in the article below. The Knit Tree offers the Winona Camo Classic© and Elite>© Cardi Jacket body style described in the article below in our online catalog. This graphic pattern is the one in the photo to the left worn by Bob Fratzke. It is offered in a variety of different color ways or you can even create your own out of the available yarn colors in our yarn chart. It is also offered with the traditional shirt collar or the optional crew neck. Bob Fratzke was the head of design and production for the Winona knitting mills and he is the originator of the Winona Camo System© His expertise is greatly appreciated as he critiques the Winona Camo© clothing and accessories that are reconstructed by Sharon Nani owner of The Knit Tree for today's hunters and camo enthusiasts. 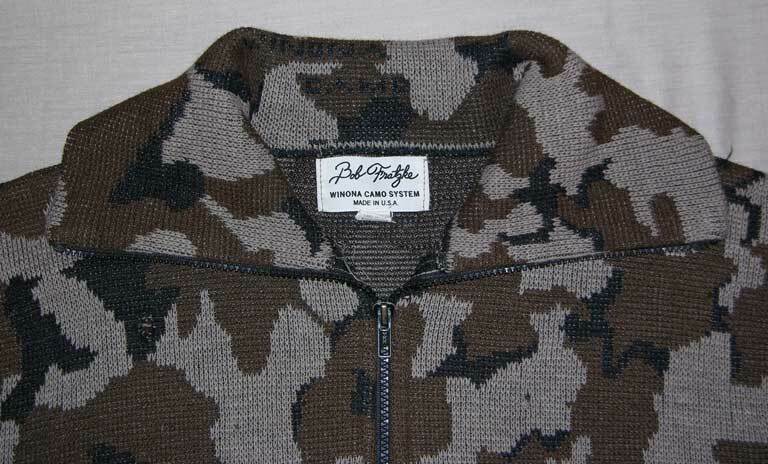 Click here to read the article about Bob Fratzke and the history of Winona Camouflage Knit Clothing and Accessories. Also go to our Winona Camouflage & Hunting Photo Gallery to see our Camo Knits being worn in successful hunting experiences. More articles Winona Knit Camo© Ridge Runner Cap ~ Originated by Bob Fratzke and Reconstructed by The Knit Tree; to see this development process of reconstructing the Ridge runner Hat, the article Camouflage Clothing for Hunting and Yarn properties, and the article Winona Color Ways show samples of the variety of Knit Winona Camouflage Color ways offered in The Knit Tree's online store catalog. are developed to meet the needs of my clients. >As a knit technician, and owner of the cottage industry ‘The Knit Tree’, I have always enjoyed the challenge of designing and knitting the special requests of customers. In 2006, Matt Howe, a bow hunter from Michigan, saw some of my digital block camouflage sweaters and visor beanies on my web site, theknittree.com. He contacted me to develop knit camouflage sweaters, knit beanies and knit over pants to meet his Bow Hunting needs. 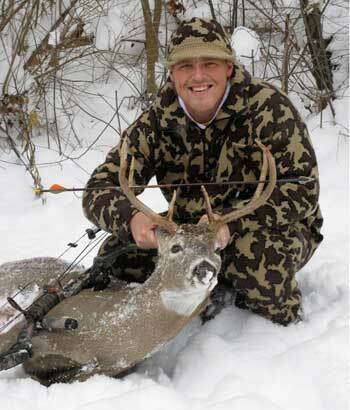 Please read my article “Camouflage Clothing for Hunting and Knit Yarn Properties” to see this development process with the guidance and expertise of bow hunter, Matt and see Matt’s bow hunting success wearing my 3-Color Camouflage knits since 2006 in this photo to the right.. 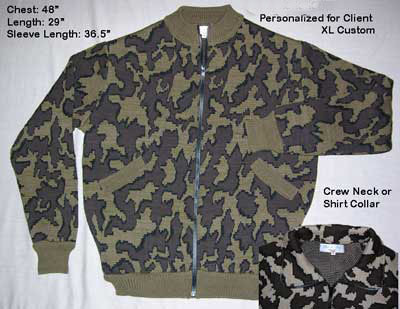 Since that time, various camouflage clients requested different body styles of knit camo sweaters, jackets, beanies, and accessories. 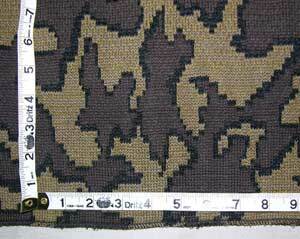 As these requests are designed and hand loomed they are added to our Knit Camouflage Clothing. 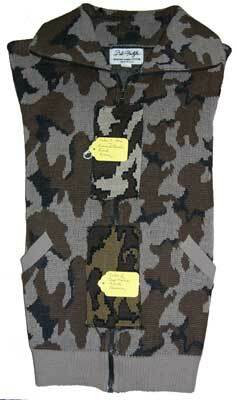 To see the current Camouflage line of Knit Clothing and knit accessories available go to our online store. First, I am a knitting technician and designer, not a hunter. 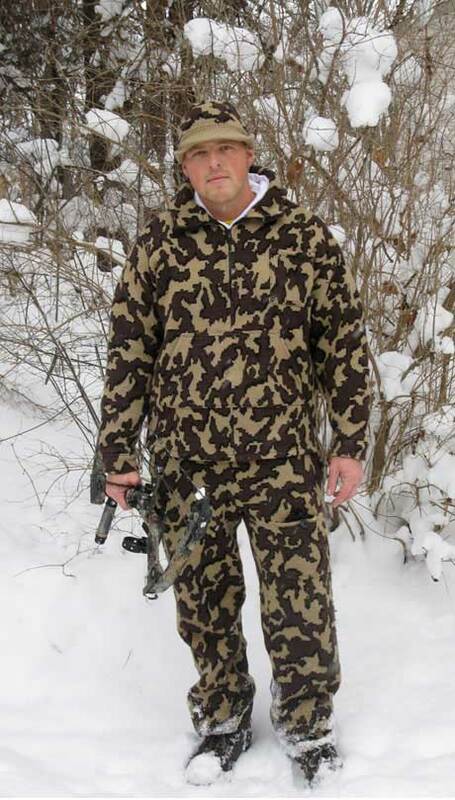 (note: although I came from a hunting family from Wi) Therefore, my goal is just to make my clients happy by designing camouflage clothing that fulfills their requests in fabric, style, and construction. 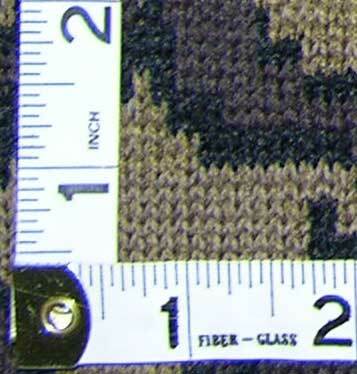 Not all requests are cost effective, and as the designer it is also my job to determine what projects can be added to our Camouflage line of clothing and accessories and what compromises can be made with the client to satisfy their request. 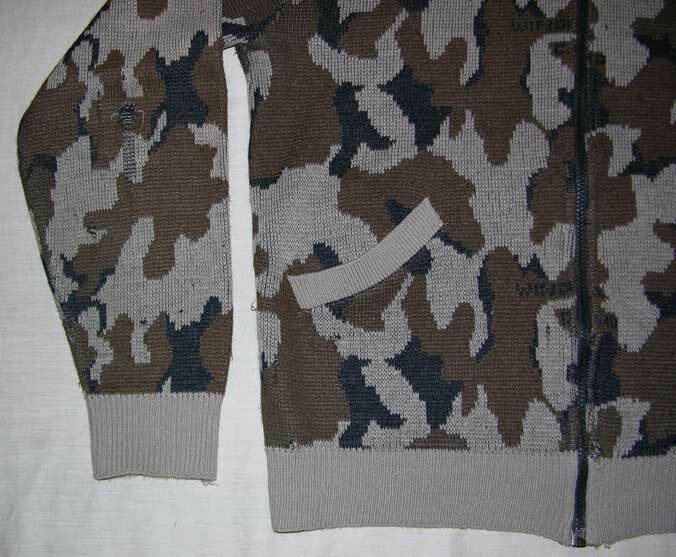 The easiest way to compare the construction of the Winona Camo System© originated by Bob Fratzke to The Knit Tree’s knit Camouflage clothing is in the following table of photos taken during the construction and hand looming of the Knit Winona Camo© Jacket for my client, Grainger. 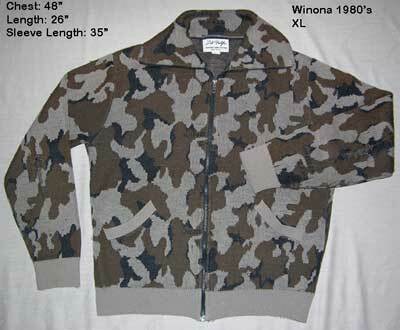 The Winona Camo© cardi jacket in this article was one of the earlier camouflage patterns referred to as Winona Brown Camo©originated by Bob Fratzke in the 1970's. These graphics have proven successful for bow hunters across the USA and Canada. When I designed the 3-color graphic shown below, I thought of puzzle pieces with a casting around them. 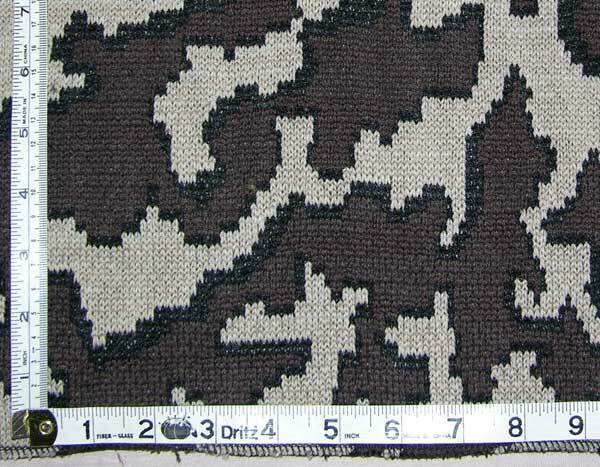 Notice the comparison size of graphic is approximately the same as Winona Camo© design.The Winona Camo© graphic design is a 3 color block design, whereas This Camo pattern from The Knit Tree is a 2 color block graphic pattern with the 3rd color (black) being the shadow separating the 2 color blocks. 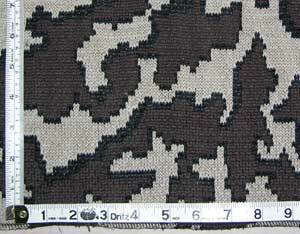 Unbeknownst to me at the time of design, this pattern was similar to the Winona Camo Classic© originated by Bob Fratzke in the 1990's. 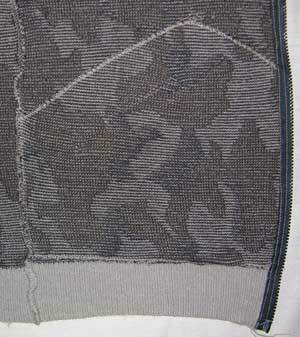 The Winona Camo Classic© is more open then the pattern below and also has outlines around the 2 color blocks. The Knit Tree retired the camo pattern below and knit all future orders with the Winona Camo Patterns dependant upon the customers color choice. 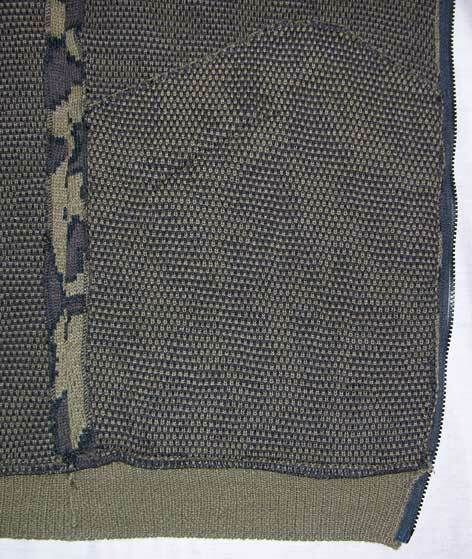 This knit fabric is hand loomed on a Passap E8000 knitting machine by combining different ends of acrylic and merino wool yarn for the three colors. The fact that the stitch is tighter then Winona knit fabric and the fact that this has merino wool blended with the acrylic results in a heavier fabric. Winona knit is 8.5 sts/" and 8.5 visual rows / "
The finished weight of this jacket is 36 ounces. (note body is 3 inches longer and sleeves are approx. 2 inches longer then the Winona Jacket --- see sizing section and it has the addition of the merino wool yarn which adds denseness to the knit fabric. The merino allows for more warmth with the natural wicking properties). The acrylic version would weigh the same as the Winona acrylic jacket. From my phone conversations with Bob Fratzke, he also used 2/24 acrylic which Is the same as The Knit Tree. 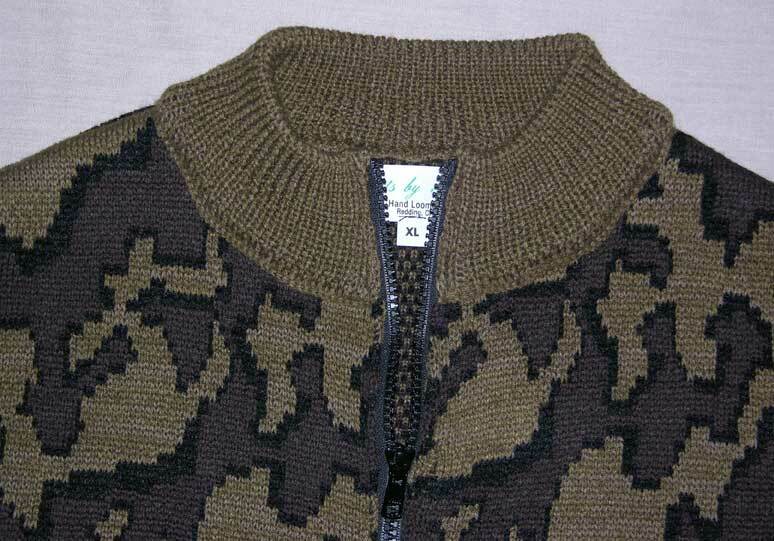 Both The Knit Tree’s knit camo clothes by Sharon Nani and Winona knit Camo system© originated by Bob Fratzke fulfill the characteristics desired by hunters of being SILENT and a graphic that breaks up the silhouette. The winona jacket of the 1970's (pictured to the right has the 2 color swatches from The Knit Tree that are 66% acrylic / 34% merino wool Superimposed on the top to more closely observe the color differences from 1972-1980's to 2010. The difference of the addition of merino with the acrylic in The Knit Tree swatches will also produce different color hues then the same color way offered in 100% acrylic or 100% merino. Current day merino and acrylic yarn color availability is different than in the 1980’s. Put that together with the state of today’s economy and the cutback of yarn availability; color ways can change with no notice. Since, The Knit Tree does not make mass produced items and each camouflage order is custom knit, the client does have the option to create his/her own color way dependent upon the available colors for merino wool. 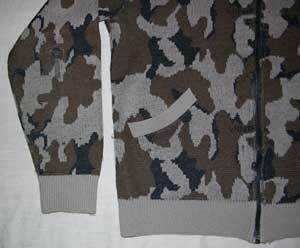 One can also choose between some of the camouflage color ways. other clients have ordered. In this case, the goal was to offer color ways that were closest to this 1980’s Winona Jacket with the yarns that are available today. To best show the comparison, the photo to the right shows the 2 knit color ways by Sharon Nani of The Knit Tree on top of the Winona Jacket. Also, refer to the swatches above. It should also be noted that Winona Knitting Mills was the largest clothing mill in the US in its day. Bob tells me that they had their yarn specially dyed and got 1000 lbs at a time. As a cottage industry and a custom knitter, I have not had yarn dyed for me because the restriction of minimum number of lbs of 1 color is not feasible at this time. 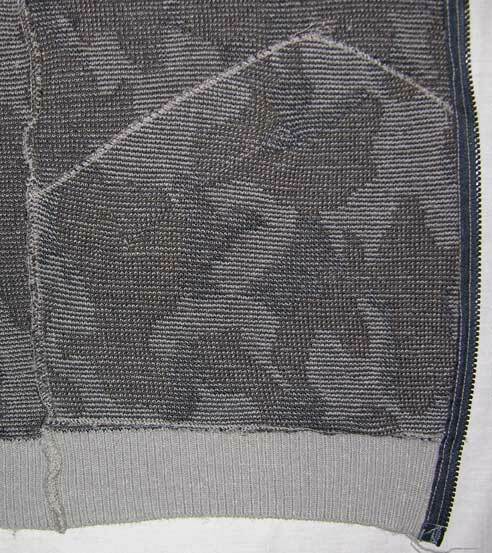 Samples of the color ways offered today by The Knit Tree are best shown in this article. The sizing of knits in general in the 1980’s was a much tighter fit then in today’s knit fashions. Set in sleeves (like these knits) were the most fashionable style in the 1980’s. This style of sleeve is the most fitted of all the sleeve styles even today. 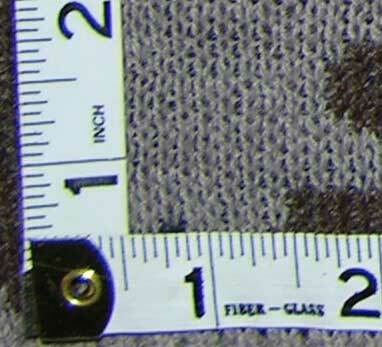 The cap formation allows for less fabric under the arms which is important to bow hunters. The main normal difference between cap sleeves of the 1980’s and today’s cap sleeves is clearly shown in the depth of the armhole and the height of the sleeve cap. For example, the Winona Knit is a size XL with a finished chest measurement of 48”. Its armhole depth is 9.5” with a very short sleeve cap of 5.5”. The measurement at the upper arm is approx. 17” On a large person this small armhole depth and short cap could be very binding in arm movement. (see Matt’s comments below). In Today’s standard industry: the same 48” finished chest sweater would still have the 17” upper arm so no slack under the arm, but it would have an armhole depth of about 10.3” and a sleeve cap height of 7.5”. And it would be called a size Large instead of XL. This would be less binding on a large person. Note: for all The Knit Tree’s sweater styles a chart is shown in each product description showing all the finished measurements along with sizing tips for that style, each style has a different type of ease (how much bigger the finished measurement is to your actual chest measurement. 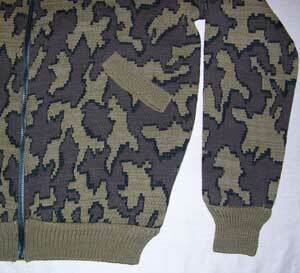 See our Knit Camouflage Raglan Jacket for an example. Therefore, if a clients likes a tighter fit, they can order a smaller size. 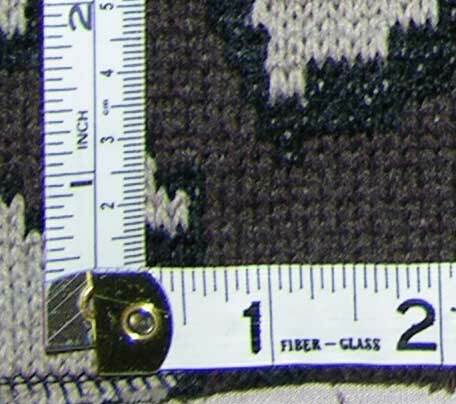 Since each garment is custom knit, one can personalize their desired body and sleeve length if desired. Look at the photos below of the 'same knit jackets' on different size models. 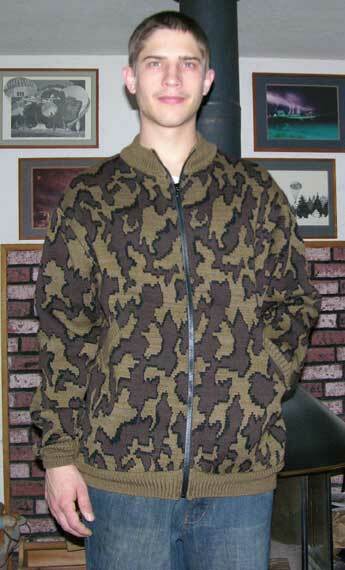 Winona XL knit camo jacket. Sleeve Length: 35” width around upper arm: 17"
Model is a actual chest 42"; arm length of 33", 6'2", so on this model their is an 'ease factor of 6" (48-42=6") note: the arms are too long for this model, the client's arm length was 37" so it was knit longer than the standard. 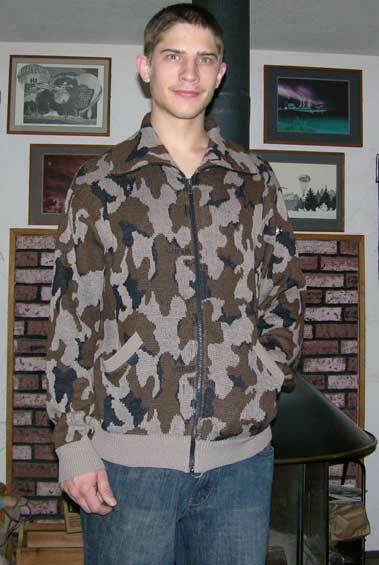 Model is a actual chest 34"; arm length of 32", 6'2", so on this model their is an 'ease factor of 14" (48-34=14") For him, he still looks great in these camo jackets! This is a case where young people like 'oversize' for fashion, but these would not be very useful for hunting!! I only show this to illustrate that 'you' pick the size by how much ease you like in your garment. Tight fit for hunting in this body style is approximately 6" bigger then your actual chest measurement. If you are going to wear this as an 'over jacket' and have layers under it, you would want more ease and go to a larger size. Always refer to the sizing chart within the body style to see the recommended amount of ease for that particular style. This jacket is originally meant to be 'fitted' ---- but the choice is yours dependant upon your use --- hunting, layered, un layered, or just for fashion. Go to The Knit Tree's Online Store to purchase this Knit Camo Cardi Jacket Lined or Unlined. The knit style is in the details. Clients ask “Can you make a hand warmer pocket, cargo pocket, zipper pocket, slash pocket?” “Can you make a crew neck, a shirt collar neck, a tab neck, a turtle neck, a V- neck, put on a hood?” “Can you make a full fashion sleeve, a cap sleeve, a raglan sleeve, a sleeveless vest?” Then, how about the trims --- “Can I have ribbing hems, double rib hems, tubular hems?”, “Can I have button closures, zipper closures, velcro closer's?” Put all these different things together in different combinations and you have a different Knit Camouflage Style! I always laugh as I think of “Pick a Part”. But if one person likes something particular, there is bound to be another one that will like the same thing! And that is the Joy of Creativity! Assembly construction was done with a serger. this is the way garments are assembled in a production factory. 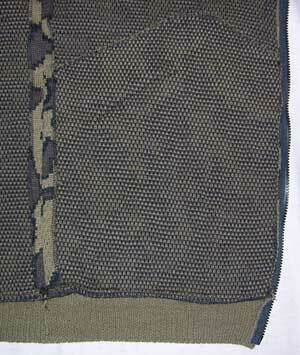 Assembly construction: all edges of pieces are serged separately to encase the seam allowance; rib bands are linked on with the same yarn for elasticity; pieces are joined with a straight stitch sewing machine, inside pocket facing was hand stitched at top to keep invisible seam from showing on front (the fabric was too thick for a blind hem with a sewing machine). The Winona fabric is 100% acrylic its wash and wear label says: Machine wash: warm, gentle cycle / Tumble Dry low Remove Promptly. My stuff is still looking good. My traditional stocking/skull caps are all in excellent shape. My "newsboy" style caps (my 2 favorite which I wear the most) with the little plastic bill you put in them are looking good, but they are thinning out where the plastic edge of the bill rubs the fabric. No holes or anything, but the occasional string fraying. Nothing you can notice by just looking at them, but I notice because I wear them so much. My top coat you made (design taken from that black fleece) still looks like new. It has a little wear and tear showing on my chest from where it rubs against trees while climbing, and on my back which rubs the tree while I'm sitting/hunting. But overall it looks great still. The pants are looking decent. They by far take the most abuse. 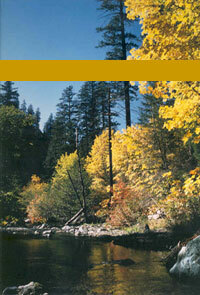 Walking in/out of the woods is often a trip through brush/prickers/barbs etc. Also, when climbing trees and hanging stands I'm often clinging to the trees with my thighs/legs and the pants hang up on the bark. The pants also get washed the most because after a successful hunt, when field dressing/dragging the deer out I end up getting blood on them. The knees also take a lot of abuse from kneeling in brush/snow. They are fraying a bit and have some small holes, I seek your advice on patching them up. I hope this article answers your questions about The Knit Tree’s Knit Camouflage Clothing and knit accessories and how this camo system compares to the famous knit Winona Camo System© originated by Bob Fratzke. Enjoy reading The Reviews from the customers in our Online Store, and judge for yourself on the comparisons. My intent was never to compete with Bob Fratzke’s wonderful Winona Camo System©, but just to please and fulfill the requests and needs of my customers. Therefore, I am really honored at this time to be licensed to bring the Winona Camo Patterns, garments, and accessories back to the Hunters for today. These are all custom knit for the individual so all orders are 'first come - first serve'.